By Alexandra Jardine . Published on January 30, 2019. 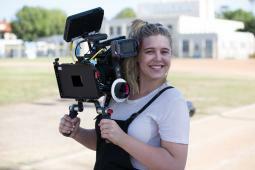 Lauren Greenfield, the director behind Always' #Like a Girl ad and the award-winning documentary "The Queen of Versailles," is opening Girl Culture Films, a production company aimed at amplifying female and diverse voices in the advertising world. Greenfield will serve as creative director and will run the company with her partner Frank Evers, who will serve as president. The company's roster a number of top female directors, including Catherine Hardwicke ("Miss Bala," "Twilight," "Thirteen"), Karyn Kusama ("Destroyer," "Girlfight"), Nonny de la Pena, who's known as the "godmother" of VR, Amy Berg, Maya Forbes, Marina Zenovich, the team of Rachel Grady and Heidi Ewing, Yance Ford and Lana Wilson. The board will include top female chief creative officers Judy John of Leo Burnett, Margaret Johnson of Goodby Silverstein & Partners and Jennifer Golub of MAL/forgood and Lisa Mehling, founder of Chelsea Pictures, which will continue to represent Greenfield for commercials and branded projects. Pete Favat, CCO, Deutsch, North America; Matthew Greenfield, president of production, Fox Searchlight; Jeffrey Tarrant, Chairman, Protégé Partners & Solaire Films and Christy Schnabel, Amstel Capital are also board members. 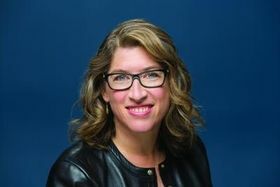 "After the experience of the #LikeAGirl campaign, I started Girl Culture Films to ensure that women have a bigger voice in the cultural conversation - in which advertising is a driving force," said Greenfield in a statement;. "I knew it was crucial to appeal to audiences through storytelling, so our roster is comprised of incredible directors with varied styles that can better connect the brands' narrative to the consumer. These filmmakers can engage diverse audiences in an authentic way that captures an inclusive human experience and become the change makers for more representation across all screens." Rylee Jean Ebsen, Snapchat's director of creative media, is moving into directing by signing with Big Block as a live action commercials director. Ebsen ran Snapchat's in-house creative agency for seven years, hiring and leading a team of 15 while reporting directly to CEO Evan Spiegel. She debuted Snap's first vertical original content series on the Discover platform, co-directed its first broadcast TV spot, and has experience producing content including augmented reality, VR, artificial intelligence, 360-video, vertical video and live-streaming across social and broadcast. She is a member of Free the Bid. Compulsory has added photographer and filmmaker Filmawi to its roster. The former agency creative joins the production company for U.K. representation in commercials, music videos and creative direction. 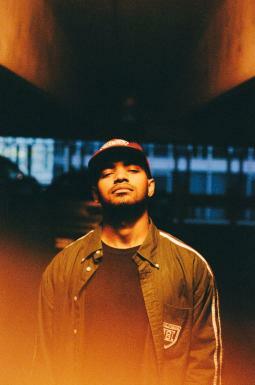 His work includes photographing artists such as Chance the Rapper, Stormzy, Dizzee Rascal, Pusha T, J Hus, Slowthai, while his short films "Rebirth" and "Tragedy" were awarded D&AD New Blood Awards in 2016. 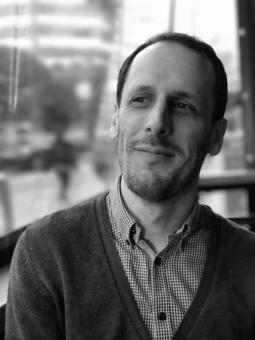 As an art director at AMV BBDO, he has worked on projects for Pepsi, Dewar's, National Lottery and Smart Energy. Production company and content creation studio Bodega has hired executive producer Mark Kovacs to oversee production in its New York office. Kovacs joins after several years as executive producer at Humble. Prior to that, he spent 20 years as a global line producer for brands including Chevy, Cadillac, Audi, BMW and Verizon. PS260 has hired Megan Dahlman as executive producer in its Los Angeles office. Dahlman has over 20 years experience in the commercial advertising industry. She joins PS260 from Cutters Studios where she served as executive producer, having previously held producing roles at Union Editorial, Harley's House, and Jigsaw Editoria. She has worked for clients such as Samsung, Sprint, T-Mobile, Gatorade, Pepsi-Cola, Toyota, Volkswagen, Lexus, Mercedes, Ford, Hyundai, Kia, Honda, McDonald's and Facebook. Spot Welders, the bi-coastal editorial house, has added editors Benjamin Entrup and Matt Osborne to its roster for exclusive representation in the U.S. Entrup grew up in Berlin, Germany, and his credits include campaigns for Apple, Audi, Coca-Cola, Facebook, Fila, Lexus, Mercedes-Benz, Nissan, Sony and Volkswagen. Currently, he is working on director Ryan Staake's latest project filming in Europe. 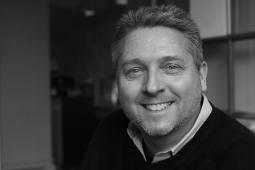 Australian native Osborne's work spans clients such as Porsche, Reebok, Volkswagen, Nike, Fiat, Mercedes-Benz, Sony, Lexus, Samsung and Chevrolet. Most recently, he was awarded a Clio Bronze for his work on Chevrolet's "The Hunt Alone." He is currently collaborating on director Rob Chiu's next project in London.